DFS site now offering the largest weekly tournament ever. The first place winner takes home $500,000! 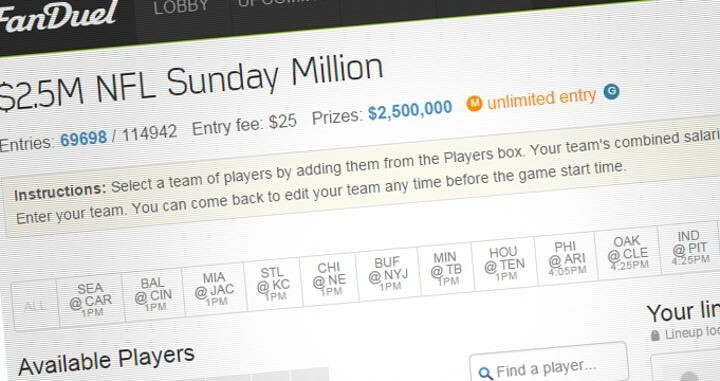 This week FanDuel has upped their game and is now offering the largest one week fantasy football league ever with $2.5 Million in total prizes. The lucky player that comes in first will take home a cool $500,000. You get all this for a $25 entry fee. And even if you’re not the luckiest player to submit a line up on Sunday, they are still paying out $2.5 Million for that single contest. Nearly 20% of the players that enter will double their money in the top eight finishers will receive a five figure payout. Not sure which players you should draft for your team? Don’t worry, we’ve got you covered with some of our five-star recommendations. Though nobody on the staff here is ever taken down this massive fantasy football contest, we like to think we know what we’re doing. At the QB position this week the staff over here at F5 likes Russell Wilson. We also have high expectations for Tony Romo this week, but if you decide to play him make sure you check the injury report. At the running back position we all know DeMarco Murray is set to have another great game, but if you’re looking for some lower salary guys at this position we like Jerick McKinnon and Chris Ivory. Randall Cobb and T.Y. Hilton are some studs we like it wide receiver position this week and we also like Rob Gronkowski and Martellus Bennett at the Tight End position who will be squaring off against each other this week. Whoever you decide to put into your lineup, good luck. We hope you make some cash, and if you do, make sure you tell us all about it on Facebook or Twitter. And if you don’t already have an account at FanDuel, just click right here and you’ll be on your way to some exciting football action this weekend. In the premiere episode of PokerStars' Shark Cage the eliminations at the end of the episode come fast and furious. The one-time leaders of the sit-n-go are suddenly short stacked with little explanation which means that there must be plenty of hands that ended up on the cutting room floor. F5 favorite Phil Laak and Team PokerStars Online Pro Lex Veldhuis are eager to get in the ring just to try and sent the other to the cage. Joined by legendary TD, Jack McClelland. Daniel lobbied for, and received, induction on his very first eligible ballot. 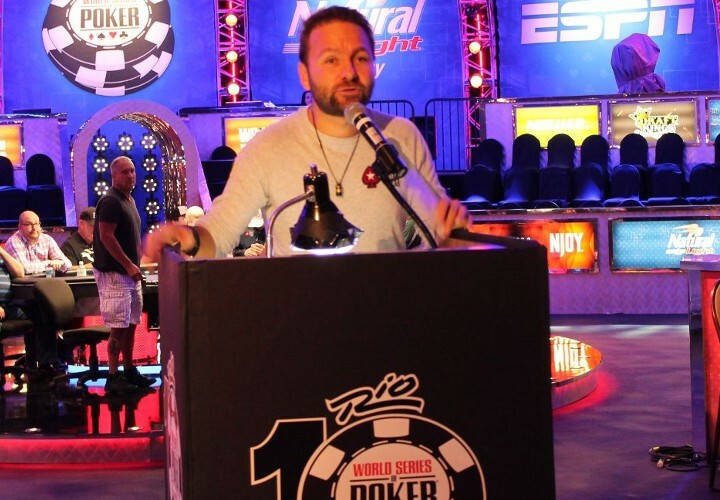 In an announcement today that everybody who was looking could see coming, the Poker Hall of Fame announced that one of the most popular poker players of all time, *Daniel “Kid Poker” Negreanu, would indeed be inducted into the Poker Hall of Fame next month. In addition to DNegs, old school Tournament Director Jack McClelland also earned the honor and will be joining the hall with Negreanu as the 47th and 48th inductee. The pair will be honored in an official ceremony on Sunday, November 9th as a part of the November Nine festivities, the final table of which takes place the very next day. If you didn’t already know, Daniel, one of the most talkative and talked about pros playing today, sits atop the All-Time Money list and has captured 6 of those WSOP bracelets everyone always talks about. For his part, the 63-year old Jack simply dedicated the better part of his life addressing the concerns of players through four decades of working the floor and being the decider of many-a-rulings as a respected tournament director. The press release also included a number of humble quotes, including this one from Negreanu. Will the broke get broker? He’s a big dude and he’s trying to get thin. Not terribly long ago we told you about poker’s own Jean-Robert Bellande's ongoing prop bet to get down to 245lbs by the end of this month. Well, his deadline is quickly approaching and it appears that the king of broke living is about to be broker unless he can break through his latest weight plateau. As of yesterday he needed to ditch 9lbs in 9 days, which is totally doable, but you gotta get in that MMA kind of weight cut mindset. Either way, come November 1, JRB’s going to be lighter – either by 45 lbs from his starting weight or by the $70K he’s going to owe if he fails. If that’s not incentive, we don’t know what is. I think the last time I swam laps was 30yrs ago…but 70k is some good motivation. I need to weigh 245lbs by Halloween (was 287lbs). People love to see a lot of money on the poker table and no one likes to show it off more than pop-culture poker player Dan Bilzerian. Check out this shot from last week with what looks to be well over a milly on a poker table and the hero has the solid hand of 73o. Or, just perhaps, this is more of a photo shoot than an actual poker game. it looks like there are some Bellagio chips mixed in with Aria chips and maybe that’s totally normal for a high stakes game. But don’t forget, assuming all these chips are standard issue, there’s an actual dollar behind every one of those and that, at the very least, makes that a ton of money to be in one place and this a very pricey photograph. Of course, you can also believe that all that cash was really in play as Dan later tweeted that he “lost a million dollars tonight playing poker.” Easy come, easy go. Press the button my friend. After months of teaser trailers, it’s finally here. 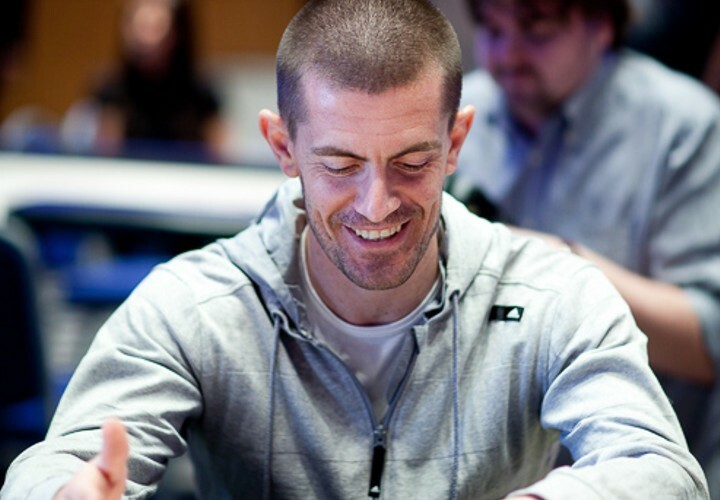 Check out Episode One of the pressure packed PokerStars program – Shark Cage. Phil Laak, Jen Harman, Tony Dunst, Lex Veldhuis and 'George’ himself, Jason Alexander battle an online qualifier in this first of eight heats – all in pursuit of $1,000,000. Dad may have new source for campaign donations. As it stands right now, Morocco is a bit of a hotbed for live poker. The North African Kingdom has enjoyed players from all over Europe coming to play in some big time tournaments and enjoying a little R&R in the process. Turns out though, according to Poker777, that the Justice & Development Party (PJD) and one of their leaders, Mohamed Yatim, is hoping to pass a law that will ban advertisement in relations to all gambling, effectively crippling the poker industry. It can’t help the cause that Yatim’s son, Salaheddin, just took 3rd in the recent World Poker Tour National event at the Casino de Marrakech for $55,457 earlier this month. This, of course, hasn’t been the first time that a politicians son has had different ideas than daddy does, but for his part, the elder Yatim put family first and came to his son’s defense…kinda. Jack is looking for suggestions for 2015. Jack Effel searching for suggestions. We’ve said it before and we’ll say it again – the World Series of Poker is mecca for anyone who loves poker. Tons of events, the chirping of chips and with the inclusion of the daily Deepstacks – there’s a buy-in that fits just about everyone’s bankroll. Now the WSOP wants to hear from you – what would YOU like to see added to the 2015 schedule? As you can see, they are looking for serious suggestions only and while the big name pros are going to likely respond with requests that apply to bigger buy-ins – everyone is welcome to have their voices heard. Here’s a sample of what players are hoping for. A massive guaranteed satty suggest, courtesy of Dominic Nitsche. 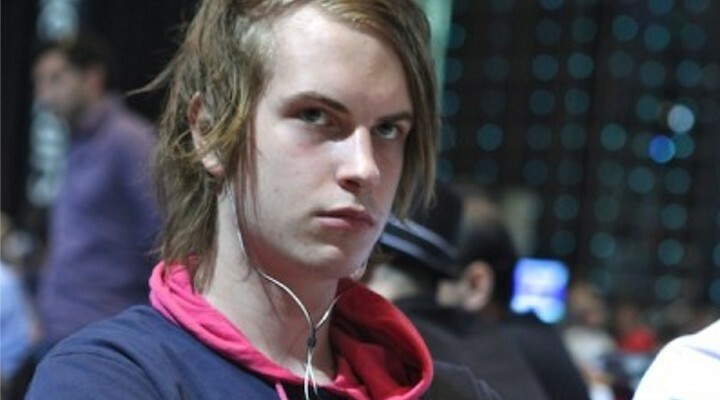 Kyle Cartwright is looking for low buy-in PLO events. 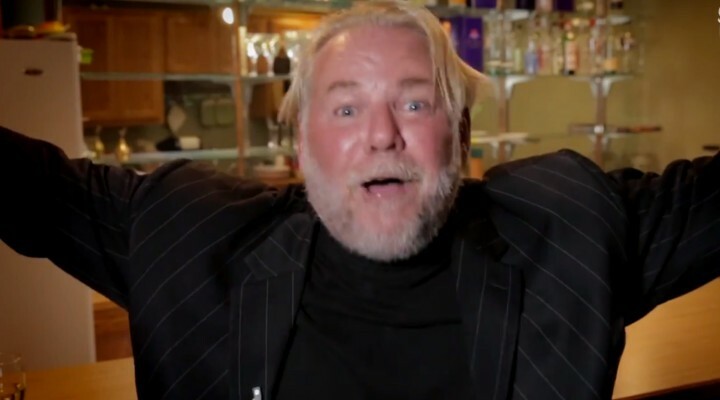 Allen Kessler is hoping for a discount on the Poker Player Championship. Dan O’ Brien smartly wants more chips for lower buy-ins. So, what do YOU want? Tweet at WSOP Tournament Director Jack Effel and be counted. Who knows, they may actually listen! Where there’s a guy scamming people out of their paychecks, the inevitable poker connection is not far behind. This time, New Jersey stock broker Evan Kochav allegedly defrauded investors of $100K and took that cash to play on a pair of unnamed “poker websites” as well as going to football games, hitting the casinos and eating out. Seeing as this guy is from New Jersey, it could be any one of the legalized online poker sites but according to the implicating article from NJ.com, he also did a lot of traveling with the cash as well. Kochav raised the funds between June 2013 and February 2014 under the guise of payment for investing advice, but instead he simply used it as his personal ATM account – when not handing $33,375 over to his wifey. No worries though, authorities have this guy in their sights and it looks like he’s going to have his day in court. Which is good news for those he defrauded and maybe bad news for the grinders that were feeding on him at the tables. “The Bureau of Securities found that Kochav developed an elaborate fraud that may have appeared perfectly legitimate to the investors he deceived,” acting state Attorney General John Hoffman said. Guy was slapped with a $2M fine and had his license revoked. So it’s unlikely he’ll be getting dealt in any time soon. Speaking of New Jersey sites…check out what Borgata's got going on! Jumping through hoops to get the big boys to take notice. We all know that poker is not a sport. Just ask a bunch of people on reddit, even they know that. That doesn’t mean poker doesn’t have “sport-like” qualities in both how it’s played and the marketing opportunities out there for it. For the longest time poker has had to essentially take what it’s been dealt in terms of sponsors: Jack’s Links, Milwaukee’s Best Light, Ruffles, Deerfoam…all great products that have lent support to the WSOP...but it’s not the big boys, you know? The big dollars. 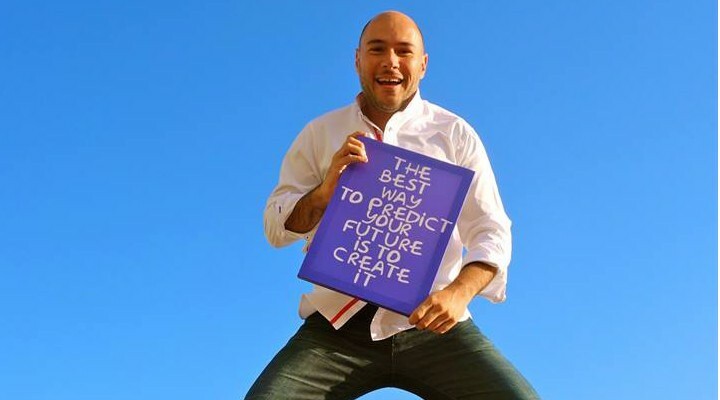 For better or for profit, Alex Dreyfus is doing whatever he can to change that by shining a light on the underside of poker and exposing all the ways that the game, especially the top tier players, are bankable, marketable and currently undervalued in terms of brand integration. Would you like to see poker get more exposure? Bigger name brands associating themselves with the game you love? Well, Alex and the GPI certainly do and they are continuing to try to deal people into that idea. For the last decade the Live Poker (*) market has grown 20% year over year. 2014 is set to break another record for the industry with registered player growth at 6% year-to-date – reaching more than $1.1 Billion in Poker Tournament entry fees. The takeaway – Poker is neither a trend nor a fad. Its a steadily growing market, one thats set to stay for the long haul. Yet while this is great, much still needs to be done to develop Poker to reach its true potential, as a sport and as a living ‘ecosystem’. Interested in reading more about the future plans of the GPI? Check this out: Let’s Sportify Poker – Discover the Brand-ability of the Game. This isn’t the Shark Tank where investors pitch business ideas to famous venture capitalists in hopes of getting money. This is PokerStars' Shark Cage where poker players tell unspoken poker tales to each other in hopes of getting their opponents money…and providing a little humiliation along the way. The long awaited premiere of Shark Cage is coming and here’s the preview that has it all: Jen Harman, notable pro, put to the test by a relative unknown and if she’s wrong she’ll suffer the ultimate penalty – being isolated in the cage by being bluffed. Turns out she actually cares about being wrong on TV. Poker Night In America's Nolan Dalla only wishes that poker was as bad to him as it supposedly is to One Drop winner Daniel Colman. In this excerpt from a recent PNIA episode, Dalla addresses the now famous words (and general sentiment) of Daniel Colman with, let’s call it, gusto. Actually, perhaps “gusto” isn’t strong enough. Dalla starts off energetic and ends up in a frenzy. Red-faced and emphatic, we thought this video might end with Dalla clutching his chest begging for one more bump, you know? This man is passionate about poker! Four up top, five below. Looking for even more televised poker? The head honchos of the World Poker Tour have recently released a couple more full length episodes of their high-rolling Alpha8 series. If you missed the first three episodes, you can check them our right here. Otherwise, enjoy Episode 4, the finale of their Florida stop up top and Episode 5, the beginning of London…right after the jump. Full Tilt’s “Bust A Pro” promo comes home. According to a statement given to our big brothers at pokerfuse, a spokesperson from FTP has actually confirmed the parting of ways, wishing the pair of degens the very best as they embark on non-sponsored life. The pair who, along with nosebleed superstar Tom Dwan, were a part of the post-Black Friday relaunch of the site are the just latest casualties in a long line of notable names who are suddenly finding themselves without a sponsored safety net. “This follows a year-long review of the Full Tilt brand and a decision to move away from pro-centric advertising to focus on the experiences and stories of the vast majority of our players,” the room’s spokesperson continued. Maybe this is exactly what Hansen needs to turn his incredible losing streak around. 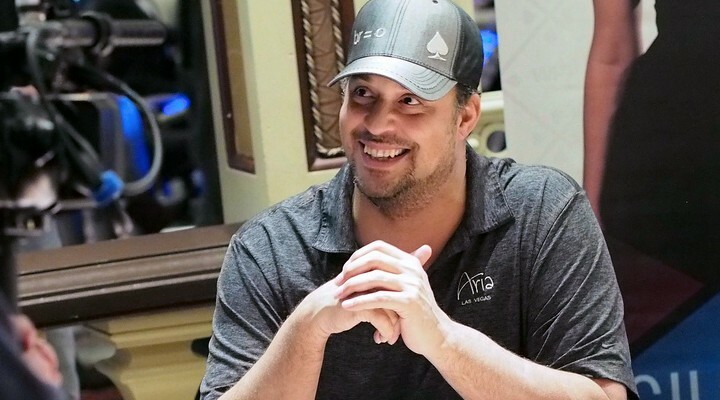 Hansen, one of poker’s more recognizable faces, is currently in the deepest online ditch in history suffering losses of just over $20,000,000 (according to HighStakesDB). Words of advice for online grinders. Long time successful online guru Alex Fitzgerald takes to his Bluff Magazine column to help young online grinders find the path to better backing. With poker being thought of as a game of “easy money” there may be plenty of pitfalls out there for young poker talent who need a bankroll boost to take their game to the next level. Alex lays out a good strategy for finding the best crew to help you elevate your mindset and also, what your responsibilities are as a dedicated horse. It’s an intelligent idea when you’re starting to trade 50 percent of your profits to have access to an unlimited bankroll and quality poker instruction. I would never be as accomplished as I am today if I hadn’t had calm and thoughtful backers who also took the time to occasionally coach me. It would have been impossible to crack the higher stakes games without their deep pockets and relaxed temperament. Don’t get sore if you start making considerable money for your backer. You would have never made it without their backing. Play the average buy-in you and your backer have decided on, but don’t load up the highest stakes tournaments when you’re tired just because it’s someone else’s money. 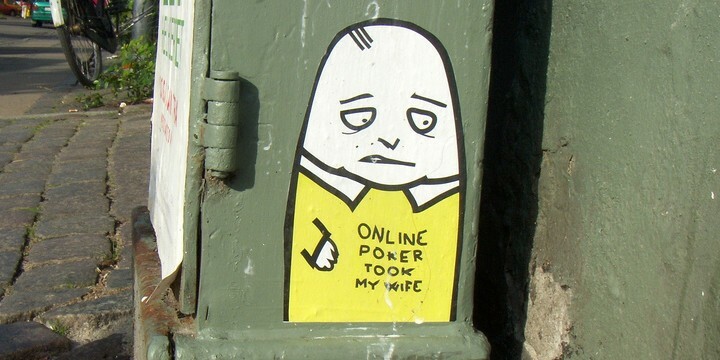 You also should be devoting 5-10 hours a week in your poker studies, so you can ensure you’re an appreciating asset. While there’s a lengthy intro, the heart of the advice looks to be quality for young online players who are really taking their shot. Ask for and receive quality coaching and in turn put your “A Game” out there each and every time. So take some time and check this one out over at Bluff. 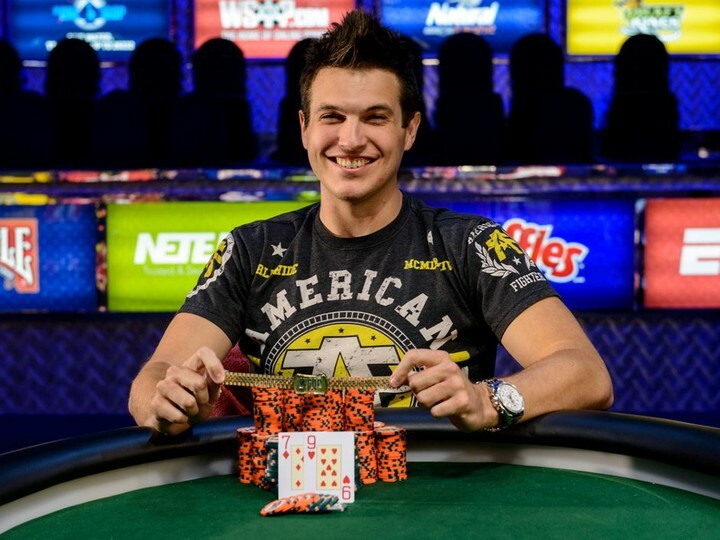 The guys over at Card Player Magazine had a recent chat with high-stakes online beast Doug Polk to talk about his poker career as well as his fruitful year at the online and live tables. For poker media junkies, there may not a lot of new info in this particular interview but interviewer Julio Rodriguez does a good job of getting you caught up with all things Polk and, of course, bringing up the controversial words of Polk when it comes to future Hall of Famer Daniel Negreanu. Even though some time has passed, it comes off like Polk is firm in his resolve that Negreanu’s confidence in his own game is a slam to the high stakes online community. It was extremely insulting for him to insinuate that he could just hop into these games and beat them. I think Negreanu is a fantastic live tournament player. He has great results and is a great ambassador for the game of poker, but he is not a good high-stakes online cash game player. He’s just not. There are guys who spent a lot of time and energy making their way to that level and winning and he’s basically dismissing their effort by saying he could just jump in and beat them. Most of the older, more recognizable live pros just don’t have the skill set to win online. 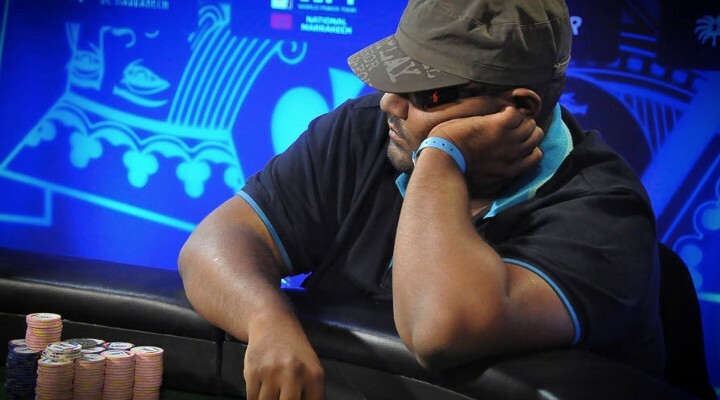 PokerStars' EPTLive color commentator, Joe Stapleton, is once again challenged by the viewing audience to do something that no Rational thinking person would ever want to do. This time, since the London was the local of the latest EPT, Stapes was forces to consume a standard “English breakfast.” If you think this is a Thomas’ English Muffin and a spot of tea, you’ve got another thing coming. Ingredients like black pudding, Brussels sprouts, beans, hash browns, various meats and the like are shuffled into a high powered blender – courtesy of “assistant”, Team PokerStars Pro Jason Mercier – and mixed into a filthy smoothie that Stapes attempts to chug. No, this doesn’t let Matt Affleck off the hook. Overcome with emotion, Germany’s Sebastian Pauli claims the title of EPT 11 London Champion and, as you can see, has a hard time containing his emotions in his winner’s interview with EPTLive’s Joe Stapleton. The 25-year old entered the live-streamed final table as the chip leader and with his rowdy rail in tow went wire to wire to claim the trophy and the £499,700 first place prize. More streaming poker for your Monday. Blom And Hansen On The Way Out At FTP? Are the pair the latest victims of the sponsored pro purge? Is this the end of the line for the Full Tilt Professionals? 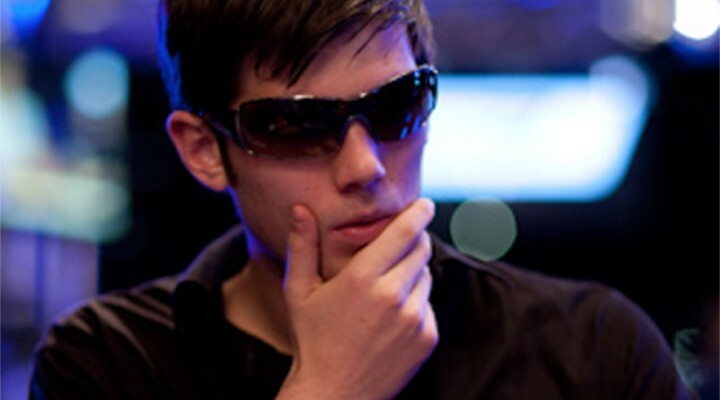 The pair of nosebleed pros have represented the online site since PokerStars took over the Black Friday casualty, but speculation abounds that Blom, who continues to swim in high-stakes waters, and Gus, the All-Time leader in online poker losses, are on the way out. The pair have disappeared from the homepage, the online client and there’s not even a drop down menu for “The Professionals” anymore. In the era of the anti-pro, are these two superstars the latest to lose their sponsorship? There is still a live link in the footer of the website and both The Professionals page and their individual bios are still able to be viewed. Wanna talk about it? Hit up a thread over at Two Plus Two: FullTilt parted ways with Viktor and Gus!? Angry words exchanged over latest PNIA episode. First up, check out the latest online release from the made-for-tv cash game Poker Night In America as they take a look back at the time spent at the Maryland Live! Casino. Gavin Smith, Donkeybomber and Greg Merson are just a few of the pros who headline the table here in Episode 15. While the above older episode just became available online, a new episode of PNIA hit the airwaves over at CBS SportsNet last night. Nothing seemed out of the ordinary and even when World Series of Poker bracelet winner, and one-time part of the Jason Mercier crew, Allen Bari, took to Twitter to bash it, as he had done in the past, that seemed pretty standard. 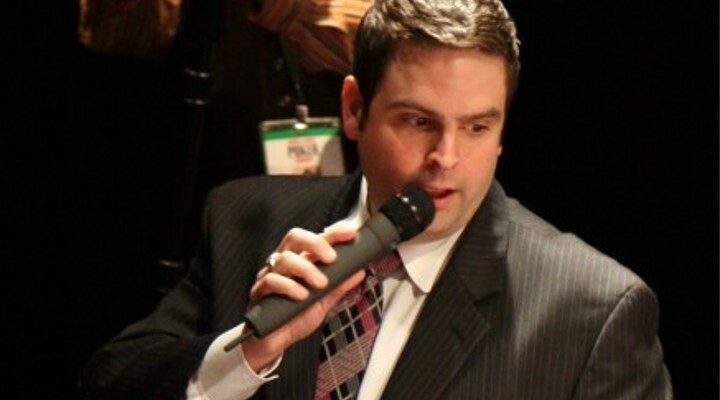 But this time PNIA President Todd Anderson decided to respond and you know what that means….Twitter war! You just know when someone drops a “buddy” in there…things are going to heat up. Looks like we’re getting into it. Todd dropped a deuce reference. Who knows why Bari takes the time to watch PNIA when he clearly hates it, but after his latest jab at the production, Anderson seemingly could take no more of the criticism. For his part, it seems like Bari just enjoys stirring the pot and giving people the needle, realizing that he may even be out of line in doing so.